Placement fee for all final year students who are willing to participate in the placement drive either on campus/off campus is decided Rs. 500/- mandatory. Only those students who have paid fees will be allowed to appear in placement drive if eligible as per company criteria. Rs. 500/- placement fee is non refundable even if student is not placed in any company. 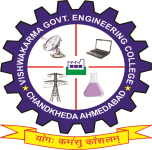 It is made mandatory for the students to upload their latest result on the placement portal www.placement.vgecg.ac.in. False entry in the data by the students will lead to disqualification in placement drive even if he has paid the fees. Departmental coordinator for placement activity will verify within week of declaration of results, the entries updated by the student and will approve that entry. Only the approved students will qualify for placement. Student should regularly check notice board in their respective department and placement website (http://placement.vgecg.ac.in) for any information regarding T & P.
Students should enter their latest correct data on placement website (http://placement.vgecg.ac.in) at the beginning of the semester and keep it updated as an when there is any change or results are declared within two days. If data is not updated on placement website within two days then TPO is not be responsible to send candidates/ students name for placement process. Student already selected in a particular grade will not be allowed to attend the campus placement for the company of same or lower grade. However, a student selected in lower grade company will be allowed to attend the campus placement for the company of higher grade. Student, who is already selected in a lower grade company, appears for a campus placement of higher grade company and gets selected, will have to deposit Rs. 500/- (Rs. Five Hundred) again.